As if Stephen King hadn’t already taken over your TV, The Mist is starting to roll in. Spike’s ten-episode adaptation of the iconic tale gets a first full trailer with a re-imagined premise, ahead of a June premiere. Entertainment Weekly debuted the official trailer for Spike’s adaptation, which diverges from the source material covered by Frank Darabont’s 2007 film. The new series will premiere on June 22, with a cast that includes Vikings star Alyssa Sutherland, Six Feet Under and American Horror Story favorite Frances Conroy, The Wire alum Isiah Whitlock Jr, Morgan Spector, Luke Cosgrove and more. Written by RITA scribe Christian Torpe, the new series will draw inspiration from the Stephen King novella, as well as Walking Dead alum Darabont’s film. 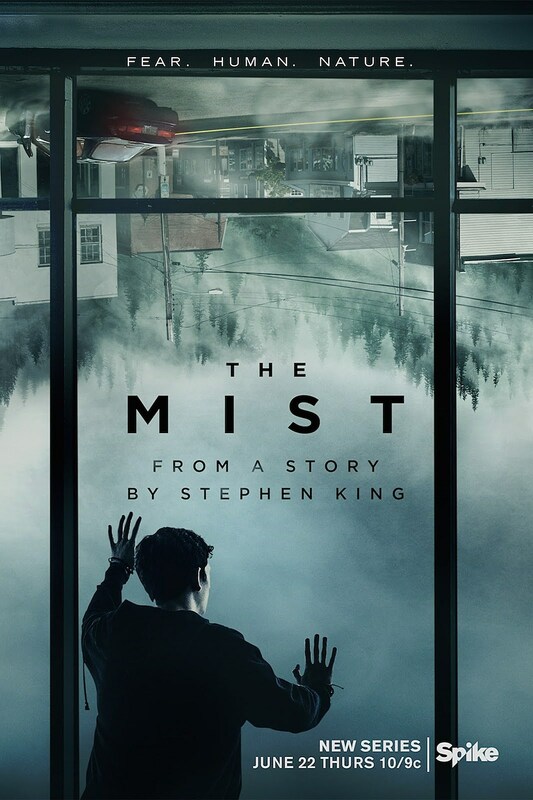 Spike’s The Mist will serve as its own original tale of a mist that creeps into a small town and creates havoc, placing the town’s residents face-to-face with their darkest fears, including both psychological terrors and other-wordly demons. We’ll see more of (or rather gaze through) The Mist in the coming months, so watch the trailer above and stay tuned.